Although pharmacy techs are sometimes seen merely as the customer service providers of a retail pharmacy, their jobs are actually much more complicated and pivotal to the healthcare industry – and with the PTCB (Pharmacy Technician Certification Board) having announced an update to its Certification Exam on June 6, 2012, we thought it might be a good time to examine the role that pharmacy technicians play in the healthcare industry. The pharmacy technician’s main role is to assist a licensed pharmacist. However, this involves much more than waiting on the customers who come in to pick up prescriptions. 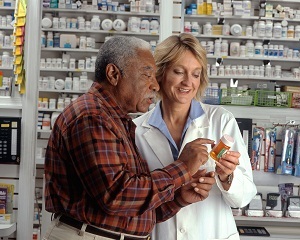 The first step that a pharmacy tech usually takes in helping a customer obtain the medication that he or she needs is to collect the doctor’s prescription. Techs need to be familiar with medical terms and the symbolic shorthand commonly used by physicians. As the tech collects the information necessary to fill the prescription, he or she must also screen the order for accuracy and contact the doctor’s office if there are any potential mistakes. The tech must be able to flag potential drug interactions with the customer’s other prescriptions and identify any other dangers that could be caused by the medication in question. With so many Americans taking multiple prescriptions, the risk of a bad drug interaction is fairly high. It’s up to the pharmacy technician to warn of any danger to both the patient and the pharmacist, and prevent a potentially fatal drug interaction before it begins. 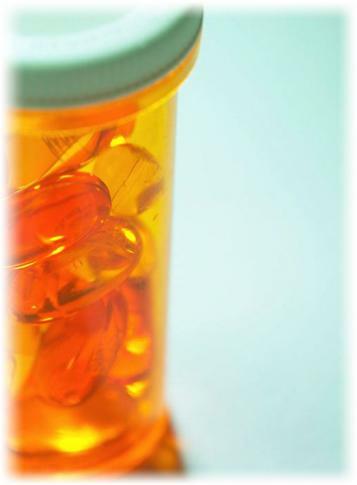 Pharmacy technicians are also responsible for handling customers’ medication. They may mix medications, prepare ointments, count pills, and label prescription containers. Although a licensed pharmacist supervises them at all times, these techs must be incredibly knowledgeable about the handling of medical substances as well as the proper sterility procedures. Some people confuse the job of a pharmacy technician with that of a pharmacy aide, but the two could not be more different. The pharmacy aide is responsible for the simplest tasks, such as stocking shelves, doing clerical work, operating the cash register, and answering the phone. A pharmacy aide never handles medication, while this is one of the main jobs of the pharmacy tech. Aides require only the training provided by their pharmacy, while techs must undergo a rigorous training and certification process. The only crossover comes when techs take on the roles usually performed by aides, which occurs most often when a pharmacy does not specifically employ aides. Pharmacy techs are most often recognized for the role they play in a pharmacy’s customer service, and indeed this is one of the most important jobs that they do. The pharmacy tech must be the face of the pharmacy to all customers, even those who are in intense pain and in need of medication right away. It takes a lot of patience and skill to deal with these sometimes angry and impatient customers, but the pharmacy tech must perform this role with a high level of empathy at all times. Patients trust pharmacy technicians to view and make decisions based on their most sensitive personal information, so techs must also behave with the utmost discretion in order to maintain customers’ trust. Techs must also work on behalf of patients by contacting insurance providers to clarify questions about medication and coverage. This task often takes a lot of patience, and can be one of the most difficult jobs performed by the pharmacy technician. Though the pharmacy technicians with whom most people come into contact work at retail pharmacies, techs can find employment at other locations as well. Mail-order and home-care pharmacies need technicians, and hospitals are another common employer. Techs who work in a hospital pharmacy often have dealt with more complicated medications than those who work retail, and may be expected to prepare intravenous drugs. At some hospitals, pharmacy technicians even make rounds and administer medication directly to patients. As you can see, the job of a pharmacy technician is much more complicated than simply answering phones at a pharmacy. Pharmacy techs make up a vital link in the healthcare chain, often serving as the key last stage that patients deal with in receiving treatment. Since their jobs require constant interfacing with the other branches of the healthcare industry, including hospitals, doctors’ offices, and insurance providers, pharmacy technicians can be seen as somewhat of a communication center for the patient. Though it is often overlooked, the role of a pharmacy technician is as important as all the other jobs in the healthcare industry. Patrick Del Rosario is part of the team behind Open Colleges, one of Australia's pioneer and leading providers of short courses and physiotherapy courses. Patrick graduated Bachelors of Science in Nursing at Nueva Ecija University of Science and Technology, Philippines. When not working, Patrick enjoys blogging about career, health, and business. Patrick is also a photography enthusiast and is currently running a photography studio in the Philippines. If you have a blog and would like free content. You can find him on Google+.